There is an old joke that there are as many diets as there are diet doctors, which actually seems true if you look at any non-fiction bestseller list or check out one of the TV doctor programs. Oddly enough, some weight loss theories keep resurfacing time after time; each time with their devotees and their detractors. One of the most popular current trends is the Ketogenic diet or “Keto” for short. For those unfamiliar with the concept behind the diet, here is a simplified and non-medical explanation to get you up to speed. The body can use either sugars or fats as a source of energy. In the standard diet, most of the sugar energy comes from carbohydrates, so if you restrict the amount of carbohydrates consumed and replace those with fats, the body will be forced into a state called Ketosis. This fat burning method will burn stored body fat as well as the fat that is being fed to it. Though the diet sounds new it was actually part of an alternative treatment to epilepsy patients as early as the 1920’s. The low carbohydrate approach has popped up in a number of popular diets over the years including the Aitkens, Stillman, Airforce, and South Beach plans. Recently, there has been a huge re-emergence of the Keto diet, appearing everywhere from books, to television shows to celebrity endorsements. If you are interested in exploring a keto style diet or are just curious to what all the fuss is about the library has a number of resources to help both online or in print. Going through our catalogue, I chose some of the newest materials to feature here and have included diet plans and cookbooks. A great way to begin is Krisitie H. Sullivan’s Keto Living Day by Day: an inspirational guide to the Ketogenic diet, with 130 deceptively simple recipes. After suffering through a number of health concerns, Sullivan adopted a ketogenic approach in order to simplify her diet and take back control of her physical body. The book is divided into two sections, the first concentrating on the science behind the diet and the second section helps the reader with personalizing the plan with recipes, groceries and tips on meal planning. She also includes advice on following the diet on the go and in social situations. While Sullivan’s plan is designed for cold-turkey adherence with the goal of reaching fat burning as quickly as possible, authors Mark Sissons and Brad Kerns have approached ketogenesis in a gentler manner as a solution to weight loss. 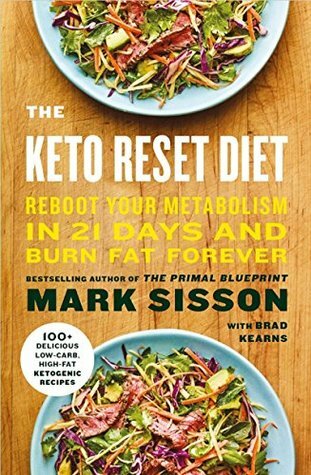 In their book The Keto Reset Diet: reboot your metabolism in 21 days and burn fat forever, rather than jumping into low-carbohydrate eating which can lead to “flu like” systems as the body adjusts away from burning sugars to burning fats, Sissons and Kerns focus on reducing the body’s level of carbohydrates slowly in order to slowly reset how it operates without many negative side effects. If you are interested in what to cook on a keto plan, then the following books might be the answer. 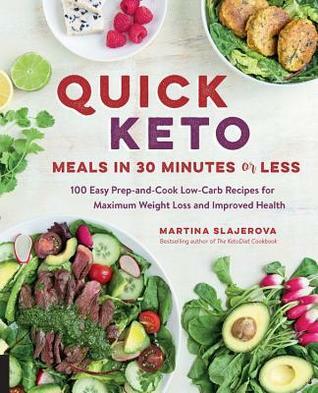 Quick & Easy Ketogenic Cooking: Time saving paleo recipes and meal plans to improve your health and help you lose weight by Maria Emmerich or Martina Slajerovic Quick Keto Meals in 30 minutes or less: 100 easy prep and cook low-carb recipes for maximum weight loss and improved health. Both books feature simple recipes with common ingredients that are designed to be both filling and nutritious. While the ketogenic diet has some support in the health community, a recently released major study has shown that carbohydrate restriction can lead to serious side effects in the long term, so always consult your doctor before undertaking any changes to your level of diet and exercise. Of course, if Keto is not your thing, the library carries resources of a variety of healthy eating options. Lori Kauzlarick – www.tbpl.ca. If you have a comment about today’s column, we would love to hear from you. Please comment below! Great news, Lori! Is it possible to get a few more titles added to the collection?